Cascadero Copper Corp is a junior exploration company focused on generating and developing mineral prospects with large-scale potential. In British Columbia the Company�s 31,000 hectare Toodoggone Project is comprised of several copper-gold porphyry occurrences. The Project is optioned to Gold Fields who can earn a 75% interest by spending C$20 million over the next three years. In Ontario, Cascadero acquired a 100% interest by staking and purchasing 15 properties and intends to option a few additional gold prospects to earn a 100% interest. The Company�s main focus in 2011 is on its 50% interest in a property portfolio consisting of 48 prospects aggregating 240,000 hectares in northwestern Argentina. Mr. McWilliam is the president of Salta Exploraciones SA, which company holds a 100% interest in the properties. It is located in Salta City. The Argentine properties have a broad range of mineral styles and deposit types, which include IOCG, copper-gold porphyry, epithermal gold and base metals, sediment hosted gold-silver, volcanic hosted gold-silver, sediment hosted gold-copper, high-sulphidation gold and silver, lithium and rare metal properties. Mr. McWilliam has worked for over 35 years in the securities and related industries in research, corporate finance, consulting and underwriting capacities with a focus on the resource sector. He has also managed exploration programs for junior companies in Newfoundland, British Columbia, Argentina and Mexico. 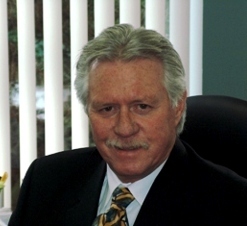 Mr. McWilliam is a co-founder, director, and CEO of Cascadero Copper since its inception in 2004. He is also a director and CEO of Stealth Minerals Limited, the principal shareholder of Cascadero. Mr. McWilliam is responsible for the direction and the day-to-day operations of Cascadero Copper and Stealth Minerals. Stealth has properties in British Columbia. Cascadero has properties in British Columbia, Ontario and Argentina. CEOCFO: Mr. McWilliam, what is the principal focus for Cascadero today? Mr. McWilliam: We work in three areas: Cascadero has a single 31,000 hectare property in north central British Columbia, which is under an option agreement with Gold Fields Limited. We have gold properties in Ontario in the Swayze, Timmins and Sudbury areas, which are very prospective areas for gold. But the principal focus of the Company in 2011 is Argentina. We have a large portfolio of properties that we started acquiring in 2003. We are in our eighth year of full scale operation and property generation. The first phase was between 2003 and 2006, which consisted of securing the exploration rights to as many quality large-scale mineral systems as possible. Salta reviewed over 100 prospects and acquired about 70. The second phase was from 2007 to 2010 when we abandoned some properties due mainly to small size systems and we advanced about 15 properties all of which have clear potential to develop a mineral resource. We are in phase three now which will focus on reconnaissance style drilling with a view to monetize the portfolio. This is the high-leverage but high cost part of the exploration cycle. It should be exciting and very rewarding over the next three years or so. Salta controls most of the prospective geology in three mineral districts. Its current focus is on two districts: the Santa Rosa Mineral District, which has outstanding potential for the discovery of large copper-gold porphyry systems. We start drilling the first property called Las Burras in April 2011; and, the Oculto Mineral District, which has excellent potential for bulk tonnage gold, silver and base metal deposits. CEOCFO: What is special about your Argentina projects? Mr. McWilliam: For one thing, our Argentina projects are mainly grass roots or very early stage properties. We generated most of these properties as our geologists and prospectors have previous experience in this part of Argentina. We didn�t go to Argentina with blinders on. We went to Argentina with knowledge of and experience in an area called the Puna in north western Argentina. When we started in 2003, many of the junior companies that were resident in Salta returned to Canada and elsewhere due to massive economic and societal disruption and deflation in Argentina from 1999 to 2001. This resulted in the abandonment of many quality prospects that we were in position to acquire for very, very low cost. It would be very difficult to acquire a low-cost land position in this area today and I believe it would be impossible to duplicate the quality of the property portfolio that we own. Recently, we have optioned or purchased certain properties that compliment our land position in all three Mineral Districts. CEOCFO: What is your philosophy about ownership? Mr. McWilliam: I have been in private and public companies and each has its advantages. I prefer the public company for three main reasons: First is the ability to raise risk capital most of the time; second, partnership disputes are easier to resolve in a public company without disturbing the asset base too much; and third, the addition of strategic partners public or private is easier to incorporate into a public vehicle. For example, in 2008, we were fortunate to attract the Santa Elina Mines Group in Sao Paulo, Brazil as a strategic partner and investor. Santa Elina is a sophisticated mining company that is involved in several advanced gold properties and several public resource companies. They recently floated Rio Novo Gold (RN-TSX) that trades on the Toronto Stock Exchange, which has Brazilian gold properties. They are also involved with Yamana and several other public companies. Two Santa Elina executives are on the Cascadero board. The initial agreement was structured as a private company earning into the Salta portfolio and participating in a private placement into Cascadero. Now the relationship is structured as a 50/50 Joint Venture all of which happened without a lot of issues. To use an analogy for the partnership, they have a more advanced property portfolio, unlike our grass roots properties. It was a perfect fit as we have quality under-developed properties with geological and geochemical evidence, they host large mineral systems. When they looked at our portfolio and did their due diligence, it was something that they could invest in as we owned early stage properties that complimented their portfolio of more developed properties. We manage the Argentine portfolio, execute the fieldwork, and advance the properties to the reconnaissance drill stage. Santa Elina has significant input into the exploration plan as well. This is where we are right now. CEOCFO: What is the infrastructure like? Mr. McWilliam: That�s a fundamental question for us. In terms of Argentina, there is an area called the Puna or Altiplano, which runs from Chile through western Argentina into Bolivia. It is an area of very low-population, but there are many roads and generally good property access. In addition, the properties that we are working on right now are very close to the main power line, a paved national highway, and the natural gas lines that go from Argentina to supply the northern part of Chile, where some of the big copper mines are. Most important, however, is the railway to the Pacific Ocean port of Antofagasta. Bulk tonnage mining requires hydro power and rail transportation as these mines produce large volumes of concentrate. The railway passes through the Santa Rosa, Oculto and the Taca Taca Medio Minerals Districts. We can unequivocally claim that the infrastructure is excellent. CEOCFO: What minerals are on the property? Mr. McWilliam: Our focus right now is on copper-gold porphyry systems and sediment hosted gold-silver base metal systems. These are large-scale open-pit bulk tonnage mineable prospects. Large-scale means potential for deposits to host greater than 100 million tonnes of mineralized material. The primary minerals are copper, gold and silver but the mineral systems usually contain payable amounts of base metal such as lead, zinc and molybdenum. CEOCFO: What is the copper market like today in general? Mr. McWilliam: Copper is around $4.00 pound and the Greenfield cost right now to build a new mine is probably $1.90 or higher to produce a pound of copper and to get a decent return on capital. The margin between the current copper price and the Greenfield cost is in our view very positive. We expect this margin to exist for a few more years as there is likely to be a shortage in the copper market until 2014 or so. CEOCFO: Is it difficult today with so much activity going on to get the people you require in the locations where you work? Mr. McWilliam: Our core business was boot and hammer prospecting, which did require a lot of people to execute the initial business plan. Good exploration geologists are difficult animals to get but good prospectors are a rare breed. Fortunately we have both species and the combination in the field is difficult to match for performance and productivity. We employ geologists and prospectors full time to achieve better continuity but we also use several consulting geologists and they are excellent advisors to the Company. We are at the point where we have to double the size of our personnel and it is difficult to get good people. If we find a major copper-gold deposit the problem may be finding enough and training local people to operate it. CEOCFO: Development is always expensive; what is the financial picture like at Cascadero Copper today? Mr. McWilliam: We haven�t raised or spent a lot of money to develop these properties to the stage they are at. We have been doing small equity financings mainly private placements because we think the share price is undervalued and the equity has significant leverage if we attain a mineral discovery. We are betting on the performance of our properties to produce the discovery hole on a big mineral system. Money is available in quantity at a low price but with unacceptable dilution for the shareholders. It is not a preferred option for us at this point. With some success the stock price will be much higher and we will be able to raise the money to develop some of these properties with less equity dilution. It takes about US$15 million to drill off one of these porphyry deposits. They are very large, so it takes a lot of cash and engineering to qualify the resource. We have several big mineral systems so we may have to raise a lot of money in the future and dilution is always an issue. Our current financing strategy is based on the belief that we are going to get a discovery and the valuation of the Company will be much higher, and then complete a larger financing. CEOCFO: You mentioned two other areas that you are in; was it a deliberate plan to acquire properties in diverse areas, or is it opportunistic? Mr. McWilliam: We have always focused on the geology first and the politics second. We have a large land position initially in British Columbia. There are indigenous issues in British Columbia and many other parts of Canada and most of the world that make operating in field generally difficult. To develop or explore there is a requirement to consult with the first nations and to have a �Social License� from the indigenous groups, especially in British Columbia where first nations believe they have a right to determine the development of a property in their ancestral lands. One problem is that the ancestral lands are not clearly defined and the indigenous group normally does not have legal title to the land. Complicating that is the fact that in many cases the indigenous group is governed by ancestral rules and practice while we live in a world driven by contract. De facto rights and contractual rights are oceans apart when it comes to providing secure title to finance a property. This makes things complicated and may slow or halt exploration and defer property development. It is a global issue with many variants. The other factor was we started in British Columbia where the field season is rather short so we needed a complimentary jurisdiction so we could work year round. That�s why Argentina and now Ontario work perfectly for us. In Argentina, we work closely with the communities as they have a different agenda than the first nations in BC. In all areas we work, however, it is very important that we pay a lot of attention to the indigenous, regulatory and environmental issues. CEOCFO: Is the investment community starting to pay attention to Cascadero? Mr. McWilliam: I think everybody now is paying attention to mining, its cultural complications and the vast potential that lies ahead for mineral consumption based on the growth rates of the emerging economies in the world. The infrastructure build-out in China, India and a large portion of the third world will consume huge quantities of all minerals and food commodities in the next 25 years at an expanding growth rate. And, the many regulatory issues that concern development of mines and the complex indigenous concerns are in the newspapers every day. For example, Venezuela has a government that appears to believe that resources and many basic businesses should be owned, controlled and developed by government agencies that are appointed to manage the (expropriated) assets. This populist business model is well known and has a poor track record. The resources in the countries we work in are already owned by the people and not privately. The government by way of various levels of permitting and oversight enables the exploration and subsequent exploitation of natural resources. The concern of the first nation groups may be resolved by resource revenue sharing, but the three groups involved, the mining company, indigenous groups, and governments are unable to reconcile these issues with consequent interruptions in exploration programs and development halts or delays. There does not appear to be a resolution path for any of the parties at this time. CEOCFO: Sum it up for potential investors; there are many companies in your segment to choose from, why Cascadero Copper? Mr. McWilliam: Potential investors should consider a purchase of Cascadero Copper shares because of the leverage the shares offer to a discovery and potentially multiple discoveries in the next few years. The management of Cascadero owns a significant number of shares and everyone contributes substantial time to the Company. For people that buy these kinds of stocks they are essentially speculating on a discovery that sends that valuation of their choice up ten or twenty fold in a short period of time. In reality, this doesn�t happen very often but it does happen and speculation on exploration stocks is based on this idea. The Cascadero property portfolio provides the speculator with several chances of the tenfold plus market cap increase scenario. Our portfolio in my view represents a call option on metal for many years with significant financial leverage to the shareholders. We have several properties, anyone of which, if it does develop into a resource and possibly a mine, is going to be worth significantly more than Cascadero�s current market capitalization of C$18 million. You have to view the purchase of exploration company shares as a type of option trade that the speculator can determine the expiry date. The shareholder can decide when to sell. Owning Cascadero shares provides a call on a portfolio of properties, a broad suite metals and large-scale mineral systems managed by a group of geologists, prospectors and mining executives who know what they are doing. We manage the portfolio on a present value basis and intend to monetize it as soon as possible. That is what you get when you own Cascadero shares - a call option with multiple-mine discovery leverage.